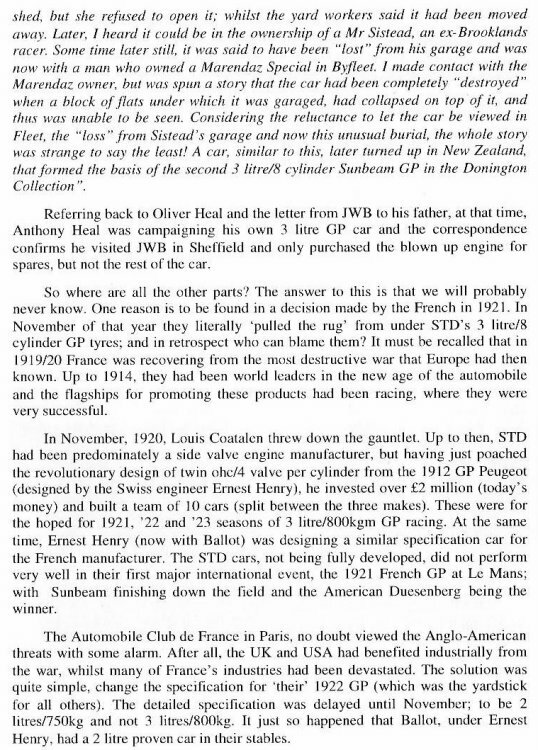 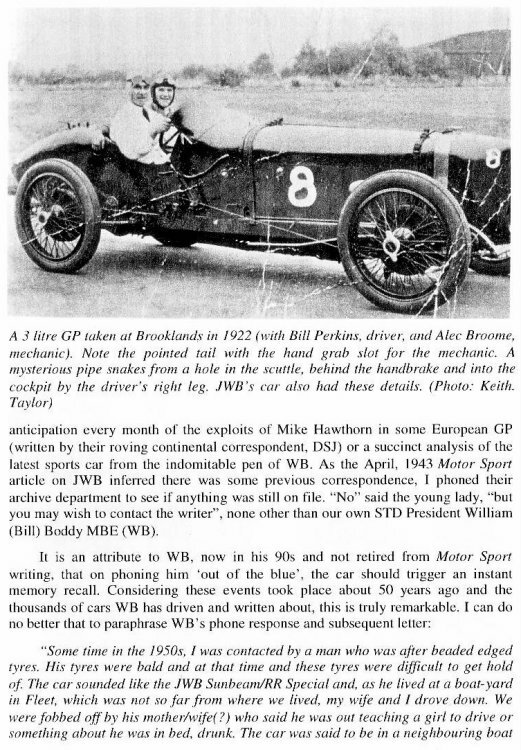 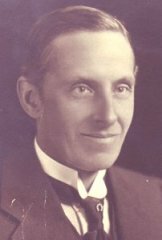 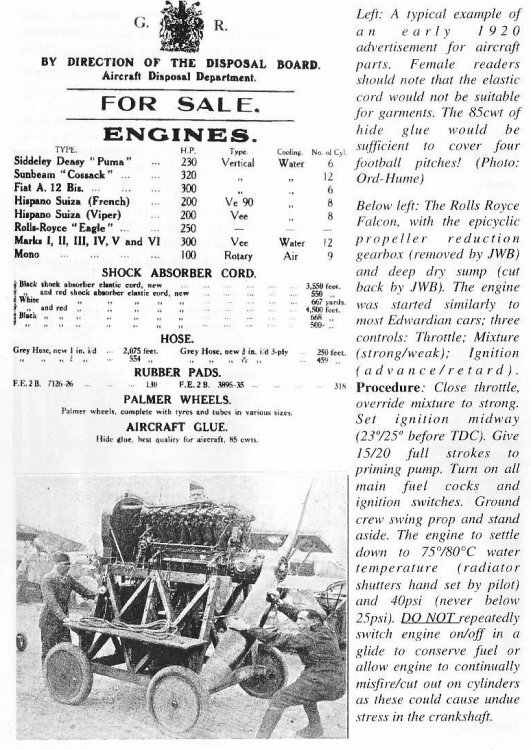 "Aero-engined: A letter from J W Burnand brings news of his 1921 3-litre G.P. 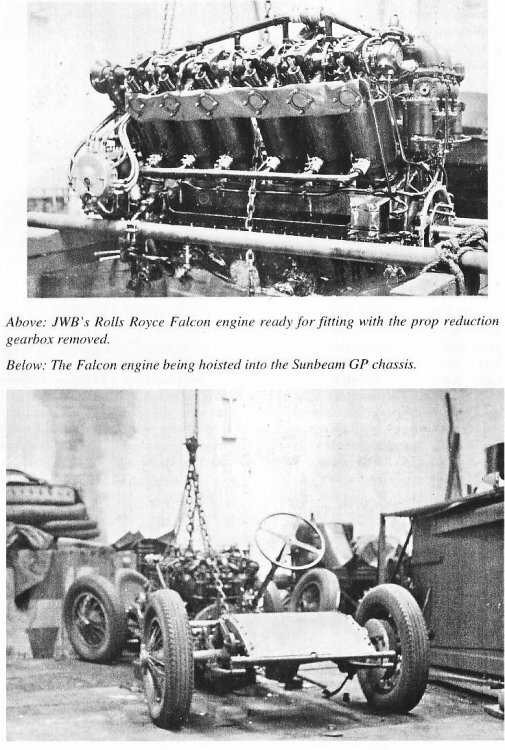 Sunbeam chassis in which he has installed a V12 14½ litre Rolls Royce Falcon engine, producing 275 bhp at 2000 rpm. 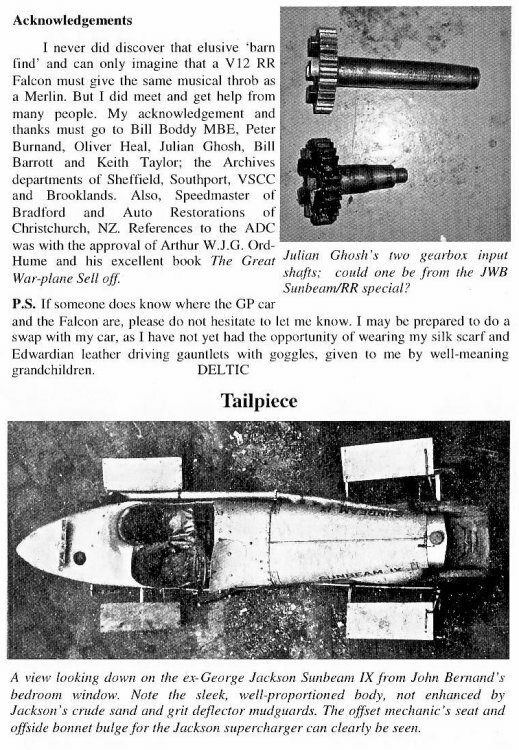 The Sunbeam gearbox is retained, fitted back to front in the chassis, so that bottom gear is now "top". 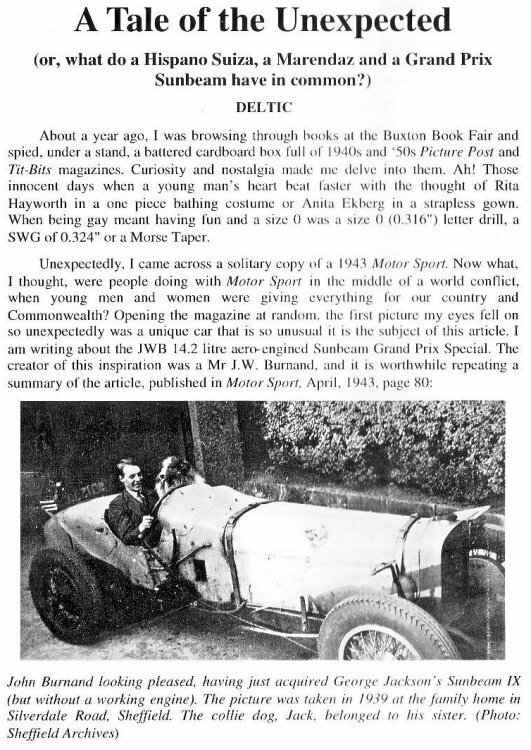 The plot is to run the car in speed trials. 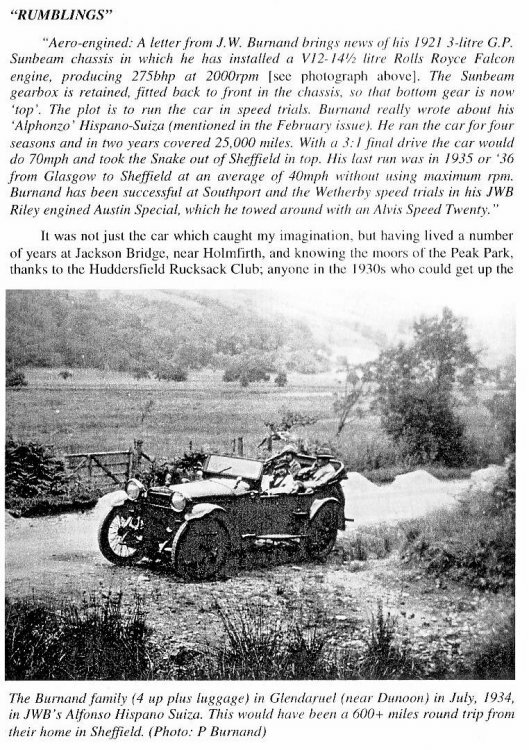 Burnand really wrote about his "Alphonzo" Hispano-Suiza (mentioned in the February issue). 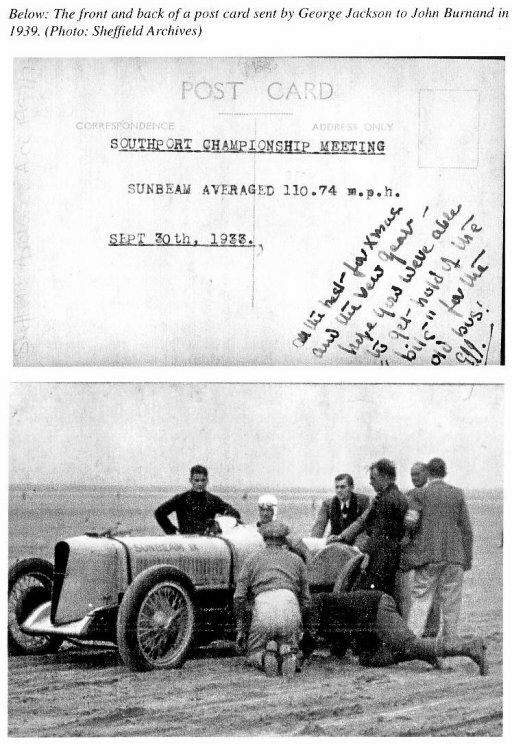 He ran the car for four seasons and in two years covered 25,000 miles. 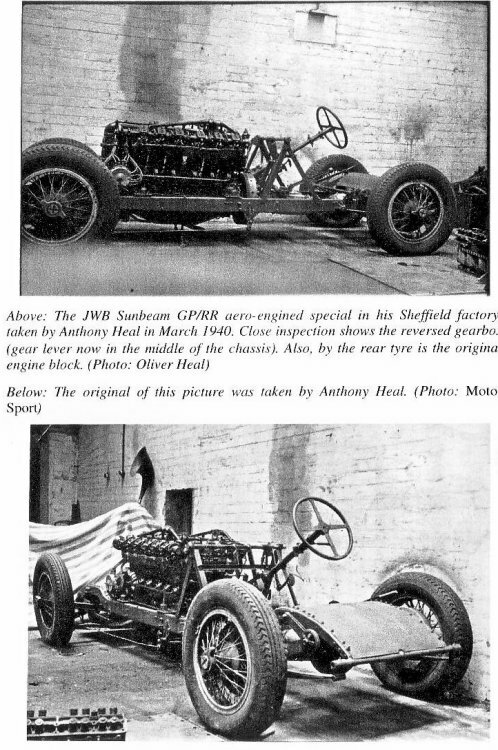 With a 3:1 final drive the car would do 70 mph and took the Snake out of Sheffield in top. 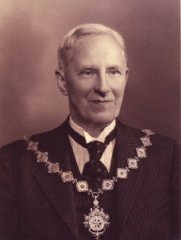 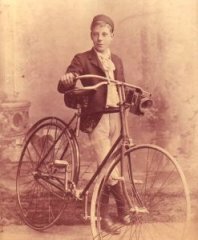 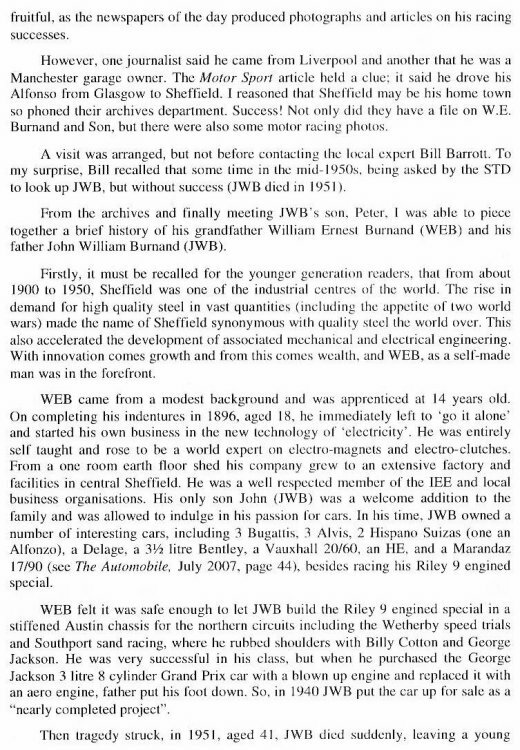 His last run was in 1935 or '36 from Glasgow to Sheffield at an average of 40 mph without using maximum rpm. 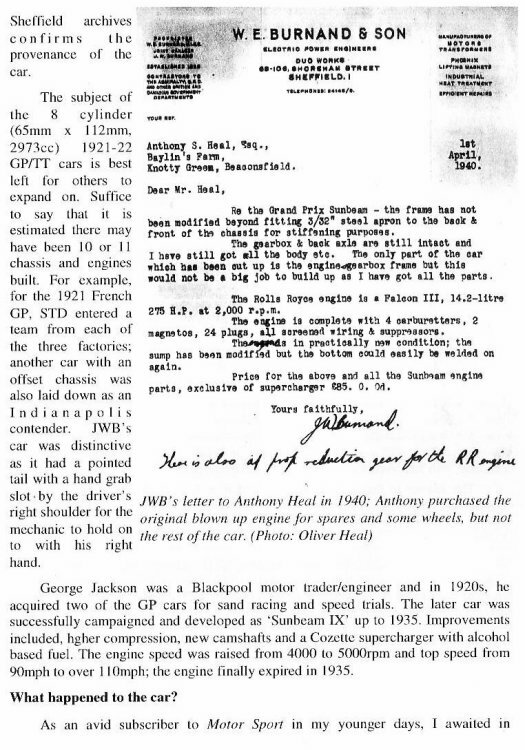 Burnand has been successful at Southport and the Weatherby speed trials in his JWB Riley engined Austin special, which he towed around with an Alvis Speed Twenty." 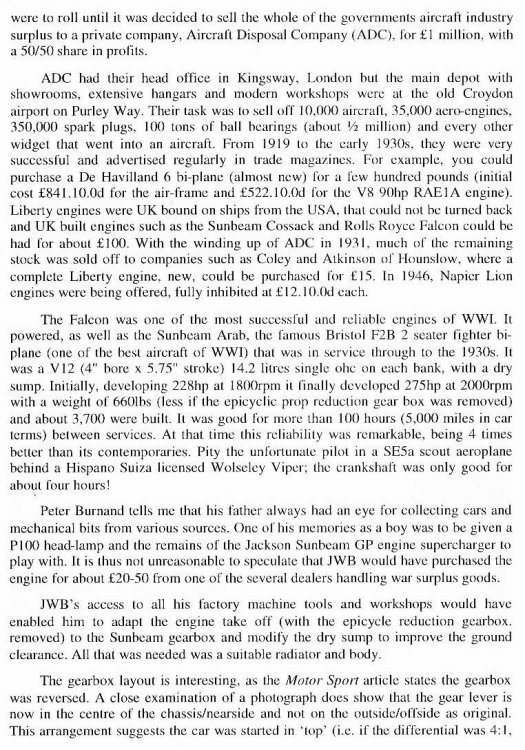 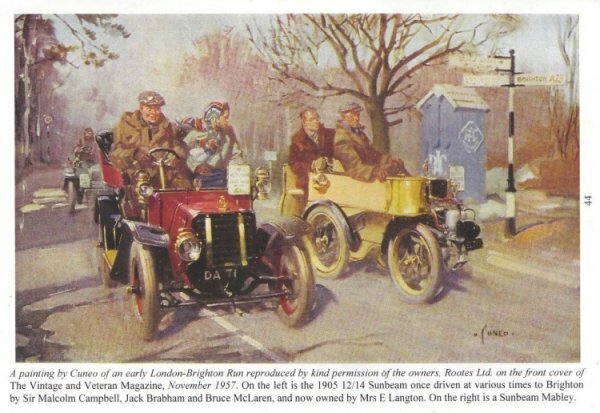 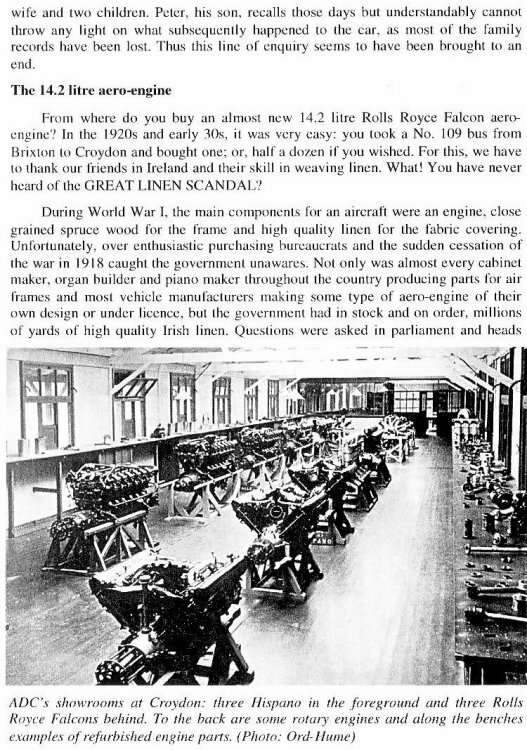 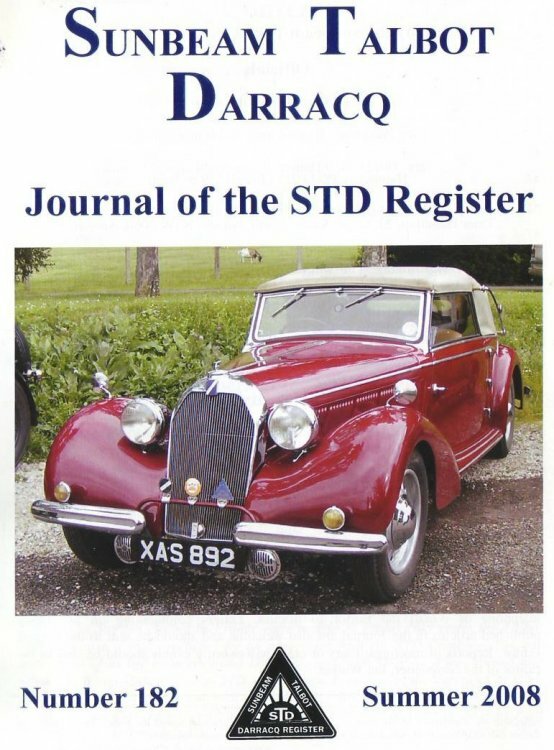 The following article is copied with kind permission from Sunbeam Talbot Darracq Register Number 182 Summer 2008 pages 4-19 "A Tale of the Unexpected" by 'Deltic'. 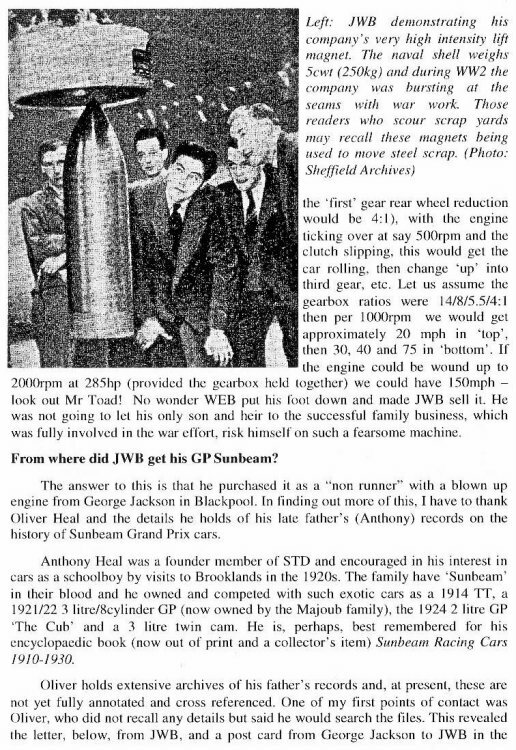 The caption referring to the photo of lifting a shell is incorrect. 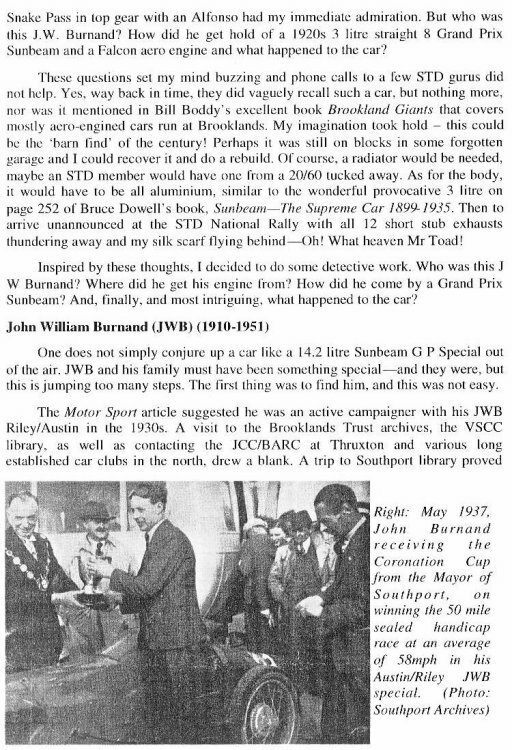 It should read "A demonstration of Burnand's very high intensity...."
Could the photo have been taken at The Festival of Britain? 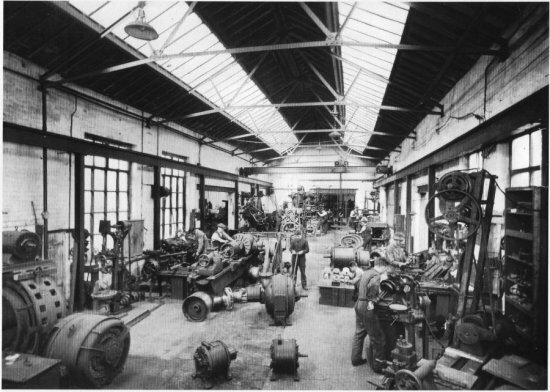 An upstairs workshop in W.E.Burnand's factory. 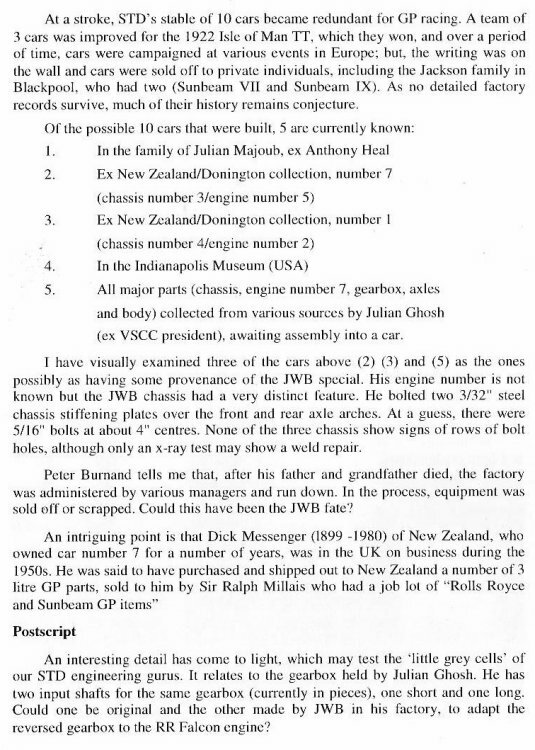 Compiled, formatted, hyperlinked, encoded, and copyright © 2010, John Palmer, All Rights Reserved.